I got Galaxy S8 and After last update when ever I press the home button to exit an app and return to oculus home.. (where it should say: close app or return to the app) there is a black screen and I have to remove my phone to fix it... the same happens when I exit an app. Did you work out how to fix this? I am now having the same problem with a note9 after the latest update. If you're experiencing issues with this after a recent update, I would first recommend simply restarting your phone and seeing if that resolves it, if you haven't already. 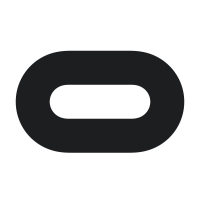 As troubleshooting is fairly limited for mobile apps, if that doesn't work, the next step would be to try uninstalling then reinstalling all of the Oculus / Gear VR apps. Okay... The restarted already tried (actually, i turn off my cellphone every night). Now i´m trying uninstalling then reinstalling all of the Oculus / Gear VR apps. Later will confirm. Yup. Reinstalling all the apps fixed the problem for me! Thanks!